This isn’t confidential at all, of course. I just wanted a really dramatic headline for this post. 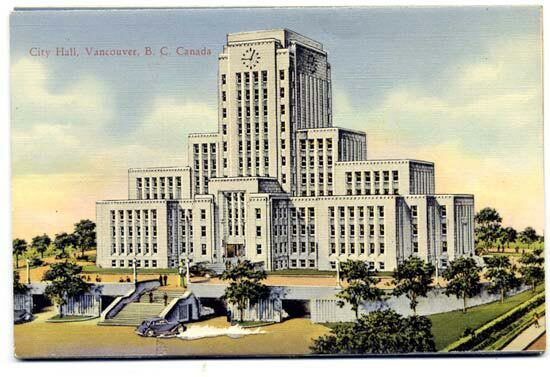 I’d never been to Vancouver City Hall before DH and I attended the public hearing on June 11. But I wanted to have my say about laneway homes, I wanted to be sure there was at least one voice who didn’t have a dog in the fight. It’s one thing to have the developers there — and I was sure they would do a good job. But I just wanted to be a “Jane Citizen” showing support for laneways knowing that we would not be affected either way. Although it was explained that there was no new information in the council’s contribution to the Metro Vancouver report, that is was all about giving the baseline information so people could move forward, speaker after speaker insisted that this was all new information, and their neighbourhood/community/back yard would be adversely affected by the report, and HOW DARE THEY submit this report without their input. I guess I must expect that average people with a full head of steam about something are going to be sitting rehearsing their five minutes at the podium, and won’t be listening to the replies that all the previous speakers were getting. But I, a neutral by-stander at the beginning of the process, was 147% in favour of council’s acceptance of the amendment by the end. Thanks, fellow citizens! You made council look very good! Also — what is with the hate-on that people have with Translink? I’m saving a post about the NIMBYism we encountered throughout the evening for later, but wow. I was 8th in the line-up to speak. First was Jake Fry of Smallworks, who did a very good job presenting the “pro” argument, as did the representative of LaneFab. A couple of people spoke about their lane homes. I spoke about how building our laneway is helping keep our family truly together. Most of the problems people were speaking about were with parking (laneway dwellers using their in-home garages as living or storage rooms so they have to park on the street) and the heights of the 1.5 storey laneways causing loss of sunlight and privacy in their yards. Since both of these problems are addressed (and hopefully solved) with the new amendments, those arguments didn’t seem to be helpful to the process. All in all this was a very valuable experience for me. I actually walked away from the meeting (taking Translink home with DH) feeling much more confident in the transparency of the processes the City uses to decide issues, and in the City Council itself. And now there will be more laneways! Huzzah! Posted in Cities, Laneway House, Small House and tagged Lane Home, Lane house, Laneway House, Neighbourhoods, Vancouver. Bookmark the permalink.